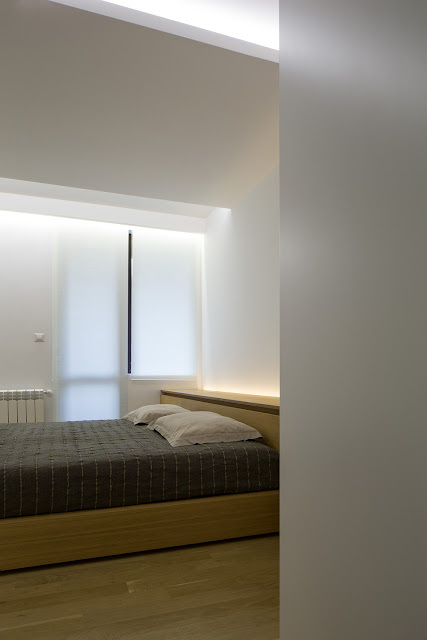 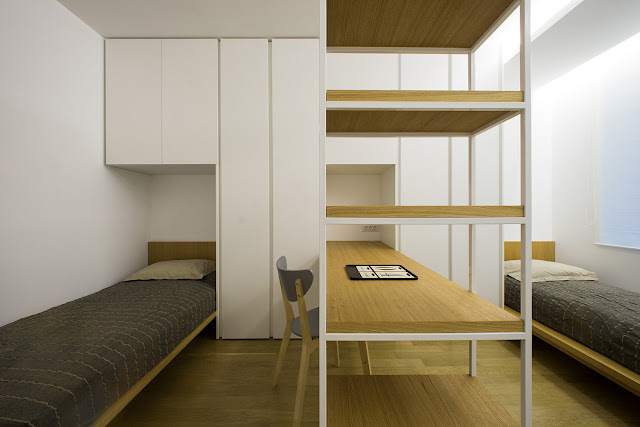 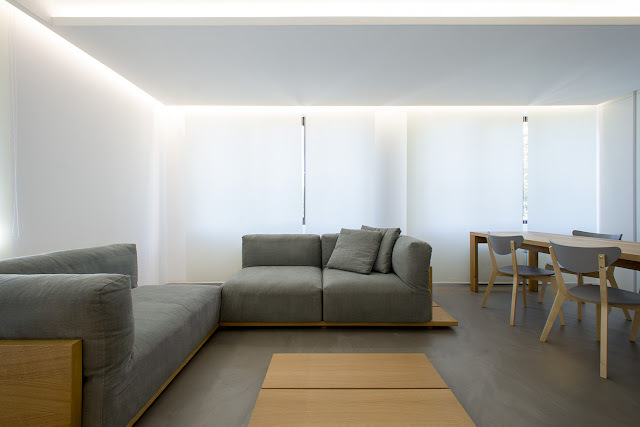 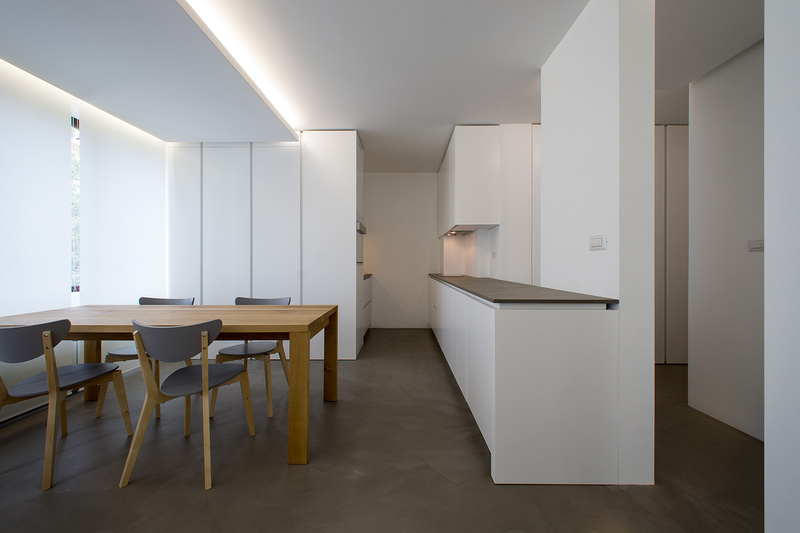 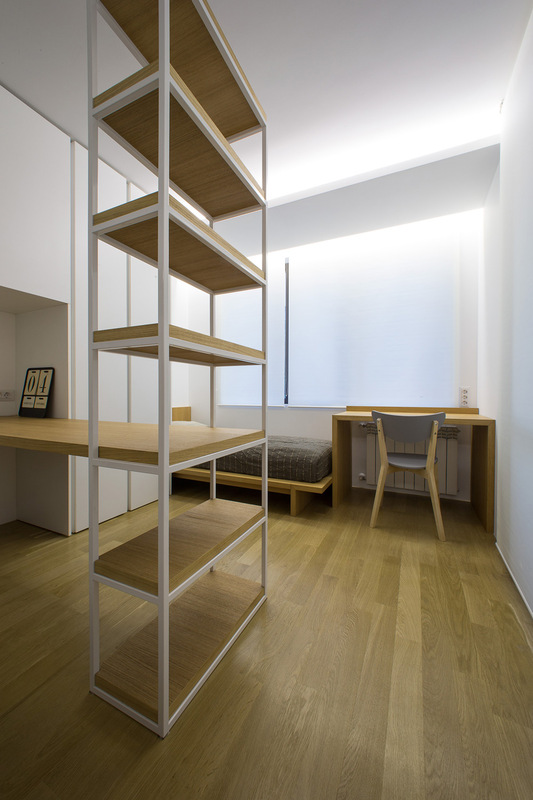 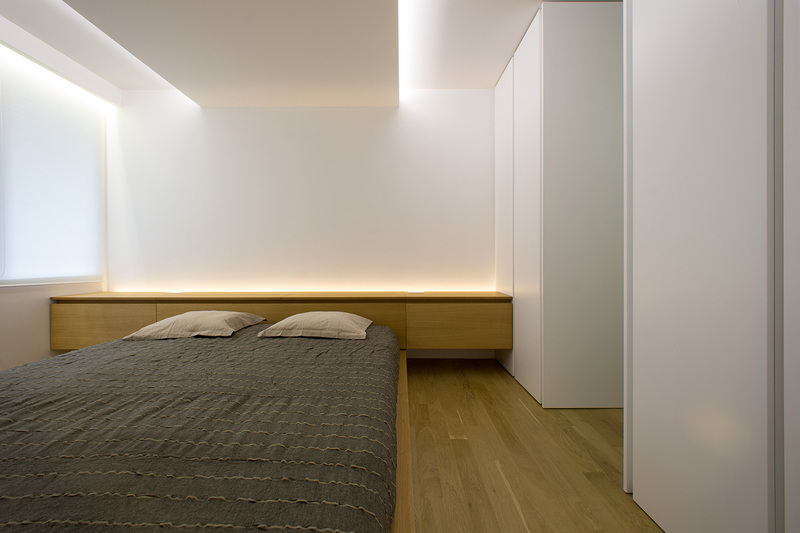 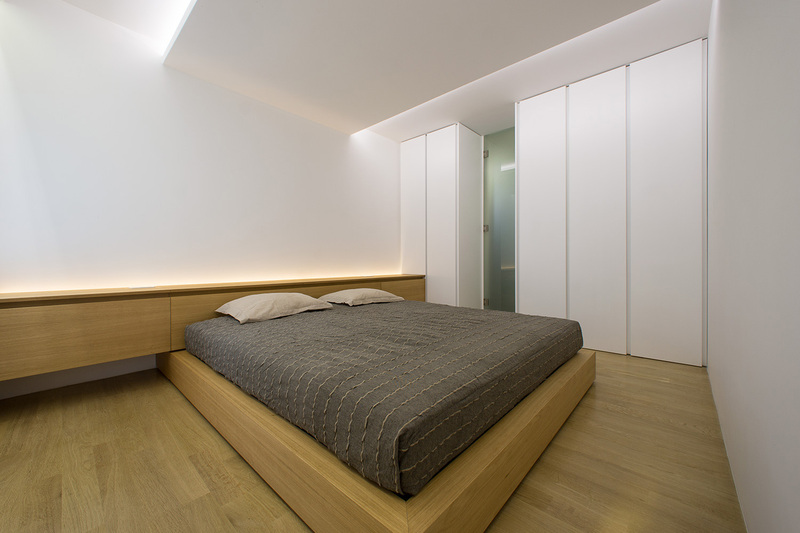 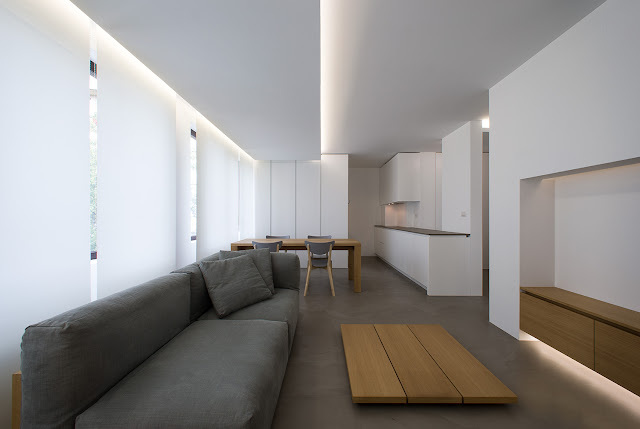 Milan based architect Elia Nedkov designed the minimalist interior of a two bedroom apartment in a historic district of Sofia, Bulgaria, focusing on clean lines and uniformity of tones and materials that create a peaceful, intimate environment. 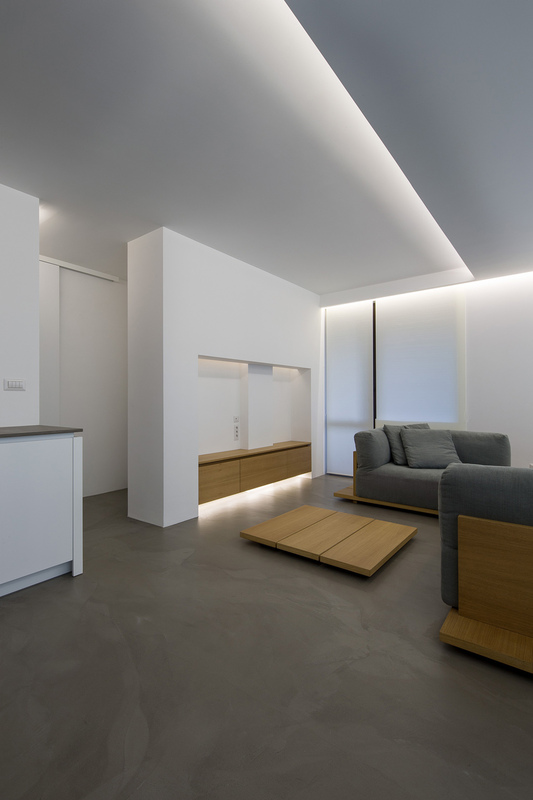 “The project takes root in the new residential area of Lozenets, a historic district of the Bulgarian capital highly esteemed for its strategic position overlooking the Vitosha mountain and for the mixture of new and old infrastructure, remains of the Soviet era. 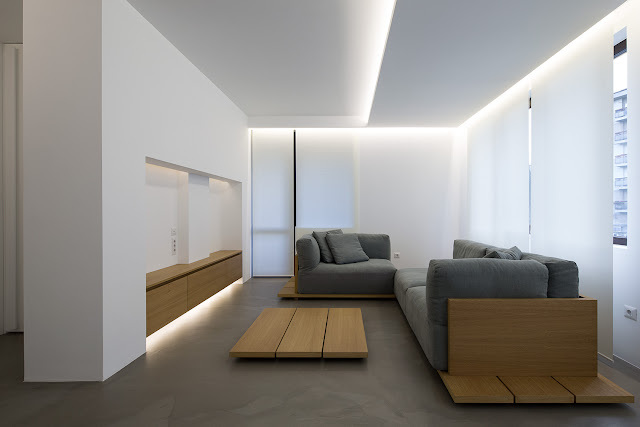 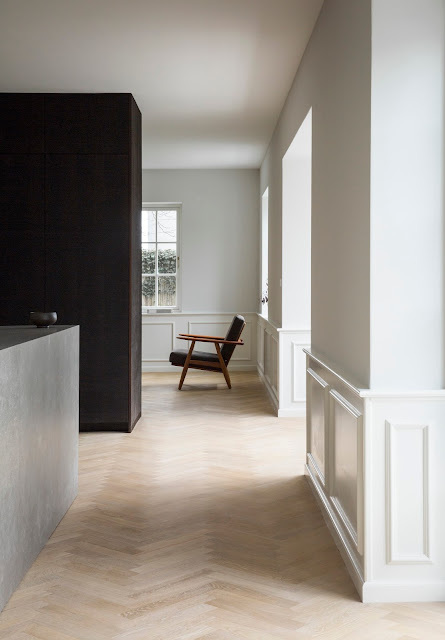 The architectural language - while focusing on the core desire of a family with two teenage boys for a generous and light living volume - aims at the idea of space as an intimate and clean environment. 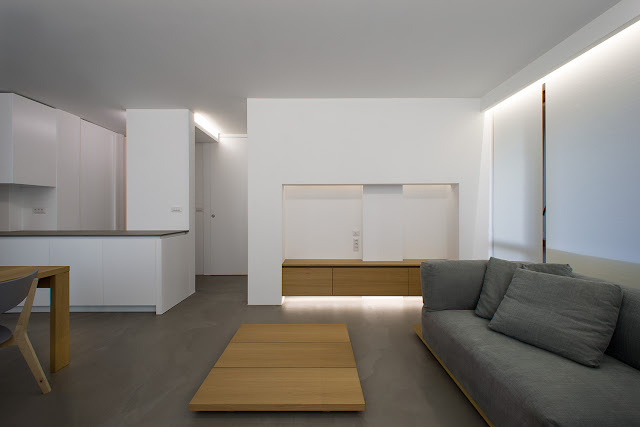 Also, it is concerned with giving to a 100 m2 space the sensation of an unbounded and natural place. 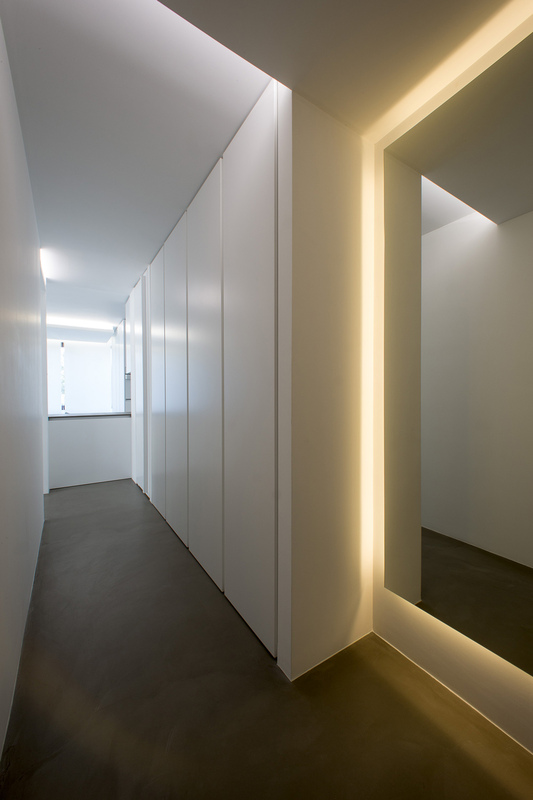 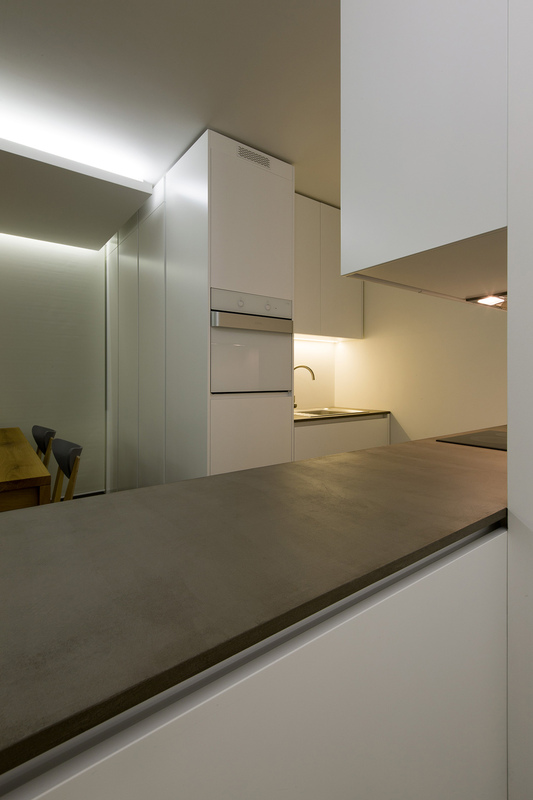 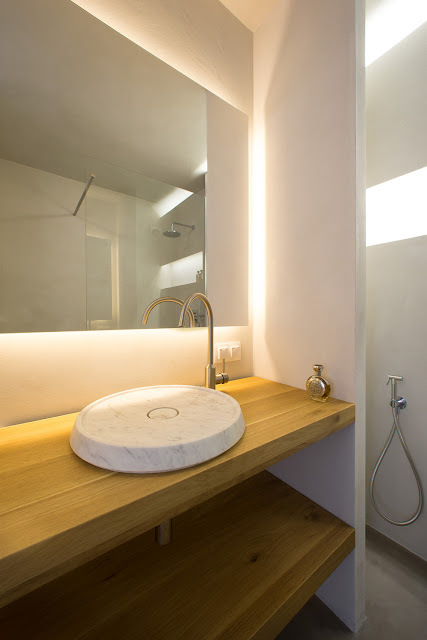 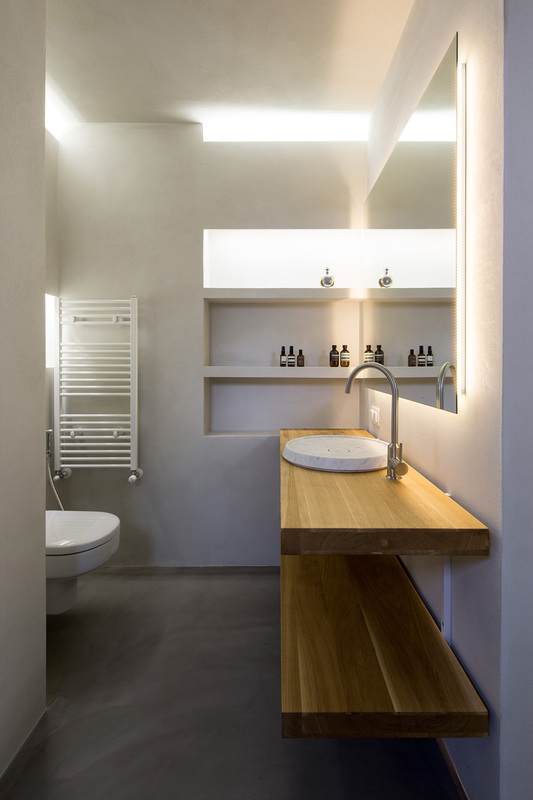 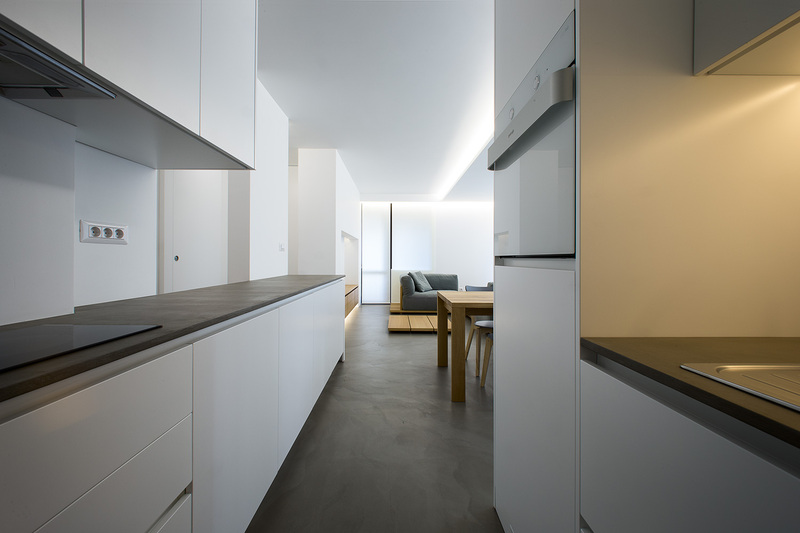 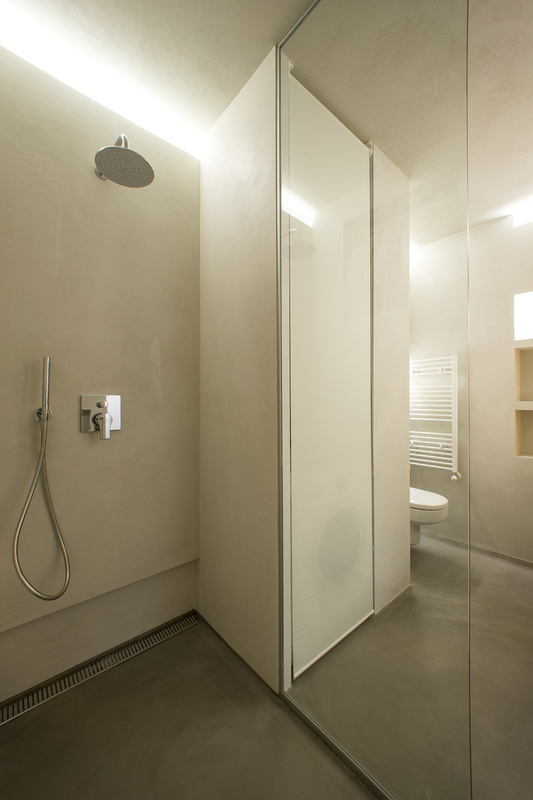 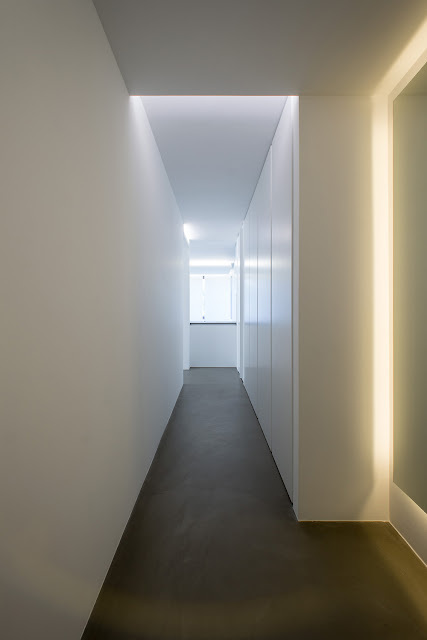 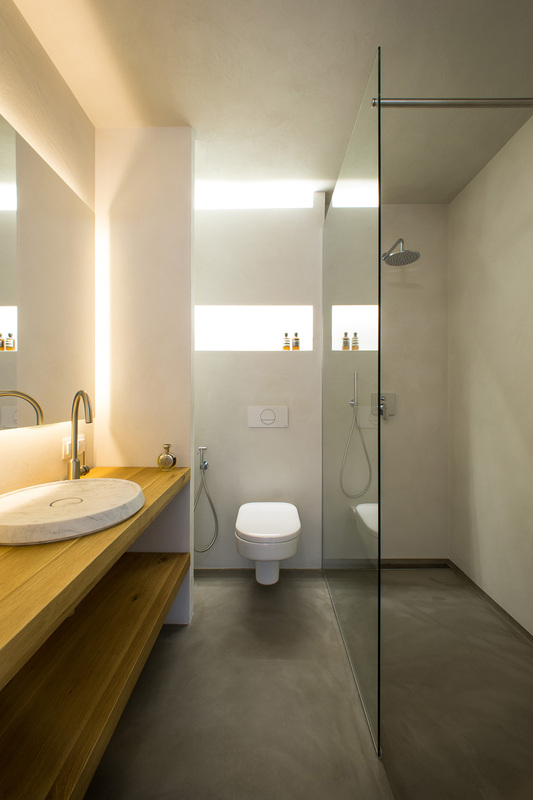 The subtraction of lintels and some walls, the synthesis of the spaces; the opaque finished, built-in furniture; the use of indirect light on a materials of neutral appearance, such as concrete, oak wood, lime based wall finishes in the bathrooms.